Dzimis 1965 gadā Krievijā, Moskavā. Studējis Maskavas Krasnopresnenskajas Mākslas institūtā. 1986-1988 mākslinieku grupas "Pasaules čampioni" dalībnieks (Gija Abramishvili, Konstantin Latyshev, Andrey Jahnin). Rdaošo darbnīcu Furmannom A Lane un The Chistiye Pounds pārstāvis. Mākslas kustības « Lip-synched Deep Purple» pārstāvis. 2003 “The plywood guitar self-instruction manual” (common with A.Petrelli and A.Kuznetsovym). “The Street O.G.I.” Club, Moscow, Russia. “The frozen bear or Russian History as the Global Rebus”. “ The Kunsthalle Den Helder”, Netherlands. “The future depends on you”. “The Museum of Modern art”, Moscow, Russia. “ArtKlyazma”. Kljazminsky water basin, Moscow Region, Russia. 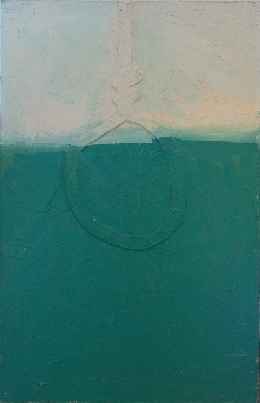 1998 “The native land”. “The Repin's House-museum” (Branch of the Samara region art museum), Shirjaevo village, Samara region, Russia. BORISS MATROSOVS. 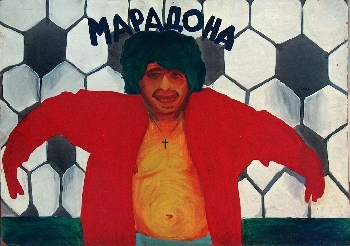 Maradona. Pasaules čempionsi. 1987. BORISS MATROSOVS. Фрагмент интерьера комнаты повешенного. / Pakārtā istabas interjera fragments. 1989.